Last edited by motofiend; 03-25-2019 at 02:35 PM. I bought a couple of things from this guy off of this car, good dealings. Details? Parts available and prices? 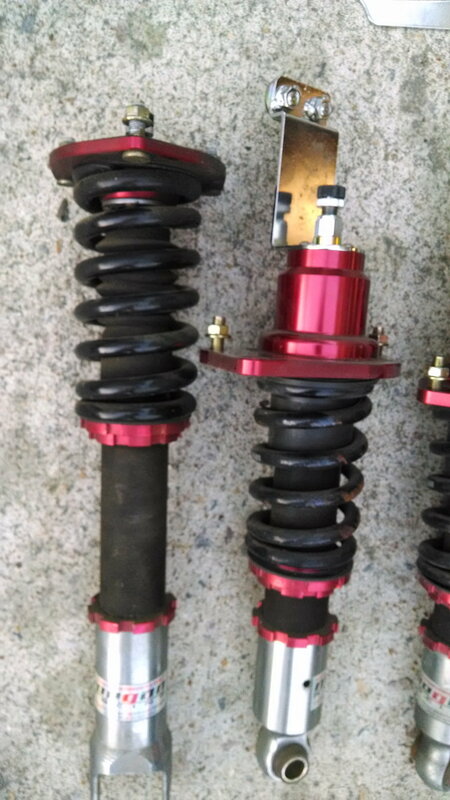 cant seem to ever upload from my phone.. got stock suspension. 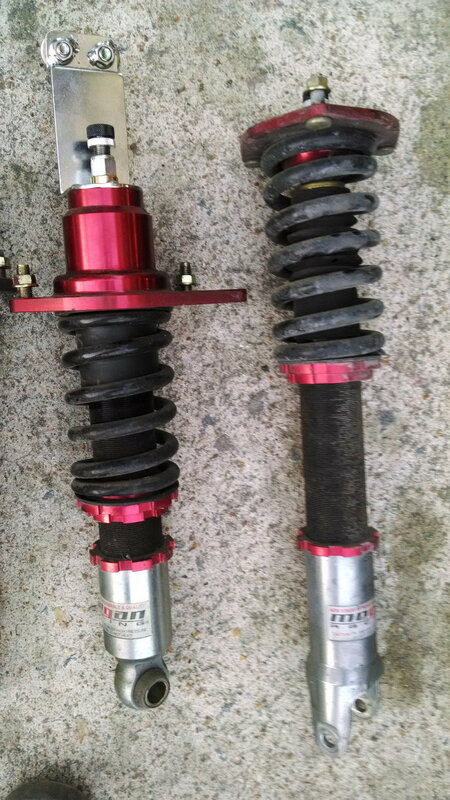 megan coil overs. red racing seats. stock black/gray cloth rear bucket seats, stock black floor mats, stock carpet, visors, front and rear windshields, doors, center console, dash pieces, a/c components. aftermarket sway bars from street beat or something like that, hid headlights with eyelids greddy turbo kit, door panels window motors, stock seat belts, differential, motor, trans(if previous interests dont want it), side view mirrors, driver side fender, aluminum control arms, upper and lower. dash cluster, stock double din radio, hubs with sensors, rear hubs, cv axles, defi water, exhaust temp and turbo boost. carbon fiber hood in eh shape, carbon fiber battery and ecu covers, carbon fiber radiator cover, cf door scuff plates, cf side pillar covers.. etc etc. the only things that i really want to get my monies worth out of is the headlights, coilovers, engine, trans, turbo kit, turbo controller and wheels. flexible with even those. 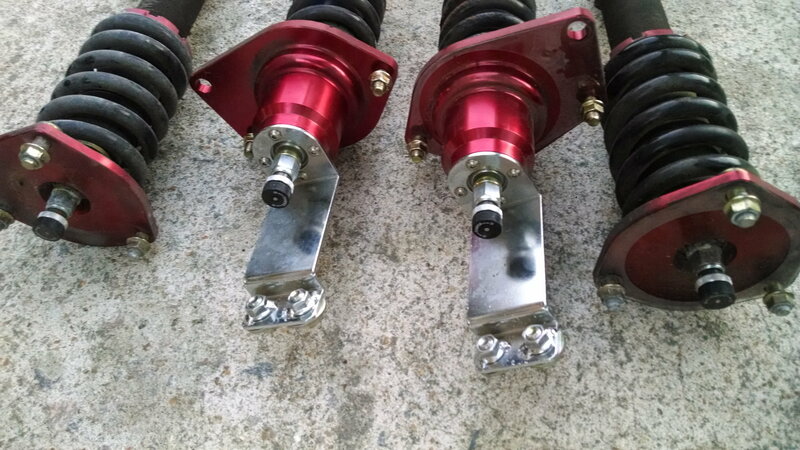 while im on the topic is asking 2.5k for a turbo kit with under 10k miles tops, too much? Pmd about a few things. I only saw them on the car, but they looked decent enough to me. Last edited by motofiend; 03-27-2019 at 08:15 PM. well im not paying shipping, lol. doesnt much matter to me where it goes if you're covering it. 77.36 from UPS is the cheapest i've got. it's already in a box and packed. edit: paypal should let me pay for shipping now with what you send me. Last edited by motofiend; 06-10-2015 at 04:06 PM. dont know if you saw my edit, yogichakz. if you want them i can try to ship them tomorrow. still have the exhaust? and if so what kind is it?